Last time’s Runner-ups are the strongest team in this group. With Lionel Messi probably in his last World Cup at the top, (unless he still stays at this level till he is 35) the team will be more motivated to put up a good show. It would be one of the greatest injustices in the sport if Messi retires without a World Cup. One man cannot do it alone, so let’s look at the rest of the team. Even without Icardi, they have enough options going forward, but in the center of the park is where their problems truly lie. Ever Banega and Lucas Biglia are good players in their right but in comparison to the likes of Kroos, Busquets, De Bruyne, and Pogba, they would come up short. Their defense has improved primarily due to the stellar season that Nicolas Otamendi had with Man City. He needs to lead this defense which in Rojo, Fazio, and Ansaldi have good players in need of leadership. If they can keep Aguero, Messi, and Otamendi injury free, they could go far in this World Cup. Croatia is a team which seems to all of us as a dark horse in most international tournaments. They do boast some quality players which is why we know they can bother some of the big boys. Players like Modric, Perisic, Manzukic, Rakitic, Subasic, Lovren, and Vrsaljko are regular players for quality clubs. Their strength lies in the center of the park. In club football, Rakitic and Modric would be sworn enemies playing for Barcelona and Real Madrid, but they will have to put that aside and come together for their country. If they can play well together, they are as good a central midfield as any other World Cup team. Ivan Perisic is one of the most sought-after wingers for the last few years. In defense, one would have to wait and see which Dejan Lovren turns up. For the sake of Croatian fans, we hope the one who played in the 4-1 thrashing by Tottenham of Liverpool does not show up. Overall, it is a very well balanced side with their best players in the center of the park. They could very well make the Quarterfinals. Definitely one of, if not the biggest shock of the Euro 2016, Iceland have been handed a group where it will take more than a herculean effort to get through to the knockout stages. They overcame long odds in Euro 2016 to beat England and make the Quarters in Euro 16. Being debutantes they are the ultimate underdog in this group. One should not take them for granted though as they do possess some quality players. Sigurdsson is the talisman in the squad. Players like Gudmundsson and Gunnarsson also add to their regular players. They will need a whole lot more than just their unwavering fan support to get through to the knockout stage in a group like this. Most neutrals would want them to progress because who doesn’t want to see the Viking Slow Clap celebration which went viral in Euro 2016 as Iceland progressed. The Super Eagles prepare for yet another World Cup Campaign in 2018. Their 23 man squad is finally out and attacking wise, it’s not half-bad. They have 6 regular players in the Premier League. Their strength lies in attack. They might be able to outscore opponents but their defense is where the main problems lie. Apart from Moses, there aren’t any defenders with top-level experience. If they choose to shift John Obi Mikel to command that defense, it might help as he has loads of Premier League experience at the top with Chelsea. The majority of the attacking burden will fall on Iwobi and Musa. These two need to perform to their fullest if Nigeria have any chance of qualifying. Considering the strength of their rivals in the group, Nigeria aren’t likely to progress but they sure can show the world what their young attack is capable of. Group D has 4 very interesting teams with all 4 respective teams having some firepower of their own. Argentina are the clear favorites to top the group with Croatia 2nd; by a distance over Nigeria and Iceland. That being said, this group also has teams most likely to throw surprises. Although Argentina are clear favourites, they almost did not make it to the World Cup. 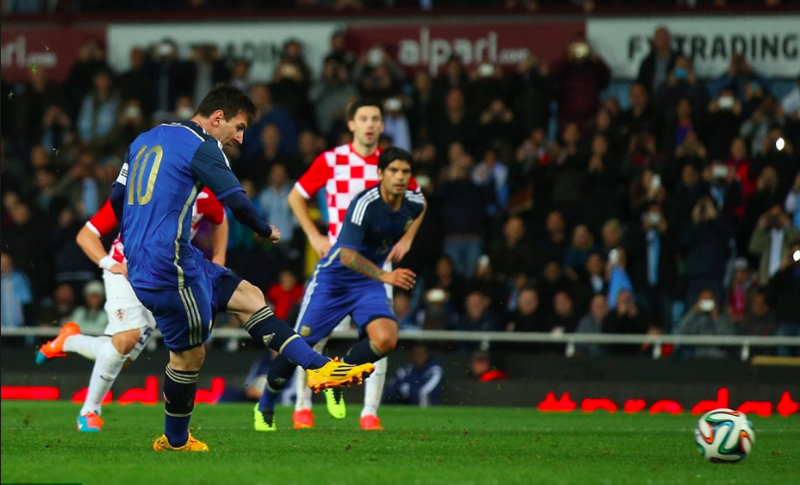 Last day Messi heroics were needed to knock Chile out and book their place in the World Cup. They are also shaky at times and could be vulnerable as that defense gels together with a new Goalkeeper as well. Their first match vs Iceland could be tough. Iceland have a hardworking group of players and if their fans could inspire them even more, Argentina could have quite a task on their hands. Croatia are one to watch out for the whole tournament as well. The biggest advantage they have is that impeccable midfield pairing of Rakitic and Modric who on their day could make even the best look silly. They certainly are the dark horses for this tournament as they are at many of the FIFA events. An exciting group D awaits us in Russia with the encounter between Argentina and Iceland kicking things off on 16th June. Don’t wanna miss this one folks, it could really throw some surprises.